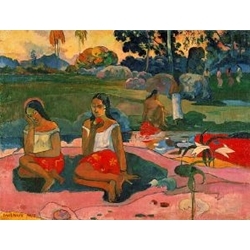 Gauguin is considered one of the leading painters of the Postimpressionist period. In Tahiti his painting style evolved to reflect the Pacific Islands' primitive forms and brilliant colors. His striking images of Polynesian women rank among the most beautiful paintings of the modern age.